Whew! Last week was a busy one! This week is a little more calm and time with the family including some hand sewing along the way. I’ll share more this weekend. In the mean time, we have some pretty fabric pictures, a fabric sale (! ), and a fun sponsored giveaway from Southern Fabric to keep us entertained. Southern Fabric is an online fabric retailer located in Georgia that happily ships fabric all over the world. They have a great site, easy to navigate and search by color, manufacturer, collection or designer. They specialize in the latest from Free Spirit, Moda, Riley Blake, Cotton + Steel, Dear Stella, and Art Gallery. They stock a large selection of pre-cuts, bundles, patterns, and notions. In addition to a lot of new fabric in stock, Souther Fabrics just marked down hundreds of items – some up to as much as 50% off – including a lot of basics, Amy Butler’s Cameo, as well as prints from Anna Maria Horner, and Cotton + Steel. Today, Southern Fabric is giving away a $50 Gift Certificate to one of you! To enter to win, visit Southern Fabric and come back here to leave a comment sharing one of your favorite fabric collections in stock. Giveaway open until Saturday, July 18. Southern Fabric frequently has amazing one day deals and specials and following them on Instagram or Facebook is the best way to keep up to date on all those opportunities! Thanks Southern Fabric! Aubrey from Southern Fabrics is also offering a discount to my readers. 20% off all full-priced items (cannot be combined with any other coupons) with Code: diaryofaquilter. Enjoy! WINNER: Beth T. says July 14, 2015 at 10:57 pm Southern Fabric carries so many great lines. I’m always delighted to find old favorites there–this time I was pleased to see “Aloha Girl”. Maybe I’ll head on back and bring some home. Especially if I am the lucky winner. ? I LOVE Vintage Market! Tasha Noel is so talented… I melted over and bought quite a bit of her Country Girl line… Would love to win some of this line as we are on a stricter budget now! Southern Fabric always has some great lines. I’ve been wanting some Miss Kate. But I also really like her half yard bundles. Thanks for the great giveaway. I love Fox Field by Tula Pink. Thanks for the opportunity to win! Southern Fabric has many marvelous fabric lines, but I think my favorite is Hello, Bear. I love Amy Butler’s Violette. I also love that Southern fabric does individual line scrap bags and a big surprise scrap package (just bought another last night). Great way to try new things and surprise yourself a little. It’s one of my favorite ways to purchase. I am a fan of Sweetwater from way back, so its Feedsack for me. Feed Company looks like fun! I am on an Elizabeth roll these days. I like pieces of hope 2. Amy Butler’s Cameo caught my eye – more adventurous than my usual fabric choices but I do love it. I really love the citron gray collection. Went through Southern Fabric’s website and they seem to have it all. I really like the Emma lap quit kit and the Hello Darling charm packs. There is so much to choose from, I loved it all. Vintage Market! Love the small prints. Love this store. I am ready to do some Christmas sewing with Tinsel! Southern Fabric is a great shop! Modern minis is my latest crush. Holly Tree Farm! Great giveaway! Southern Fabrics is one Of my favorite online sites. Right now I am in need of solid fabrics and I love their zen gray which is on sale. I really think the Tinsel collection is cute and after looking through the bundles I have some ideas for how I’d use the Hello, Bear Timber bundle! Always love Kona solids and anything by Bonnie and Camille. Yes please come back and show us your hand sewing! Oh thanks for introducing me to Southern Fabric. I’ll definitely have to order soon. It’s on preorder now but I’m really looking forward to ordering Paper Bandana from Cotton + Steel. So hard to pick just one collection. I really Honor Roll but would be happy with any of the collections. Thanks for the great giveaway. I love Southern Fabric’s sales section. I often find backing fabric here. I love the Modern Mini’s! Birch Farm Burlap! Love Southern Fabrics! I like the purple octopus print and the other prints in Bay Breeze by Jack and Lulu for Dear Stella. Thank you for this opportunity to win. I’ve been buying fabric from Southern Fabric for over a year now and love the service they provide and the great fabric lines. Vintage Market is really wonderful for little girls clothes, but I recently discovered Paradiso by Kate Spain and am planning a quilt with it now. I want the Lori Holt Modern Minis because I am doing the Farm Girl Vintage sew along. Love Joel Dewberry’s Aviary2! Also love the Winged charm pack from Bonnie Christine…quick cute baby quilt with that! Wow, what a great shop! The daily deal is awesome (Daysail is so beautiful). I love how many low volume fabrics they have, but what caught my eye was the adorable Good Natured by Riley Blake in the 40% off section. So much fabric, so little time! Thanks for bringing my attention to this great shop. Modern Mini’s are sew cute! I also saw the tutorial that was there. Thanks for sharing Southern Fabric; great place to shop and get inspired! Any of the Art Gallery collections – Utopia, Winged, Etno, Cultivate, Arizona – are gorgeous! There are so many beautiful fabrics, it’s very difficult to choose a favorite. Two that really stood out for me were Daysail Green – Mostly because they are the colors of the Seattle Seahawks, and the Hello Bear Stone collection. I love Tokyo train ride. Been coveting it for ages!! Thanks for the chance to win! After browsing the Southern Fabric site, I’d choose “Fragments” by Dear Stella. Love all the colors and designs, especially the Crosstitch design. Thanks for the chance in the giveaway. I have always loved their curated bundles! Right now I am crushing on Etno! Thanks for the opportunity! I like the Cultivate in both Harvest and Flourish color ways, by AGF. Excellent shop site and love their inspiration posts on IG. 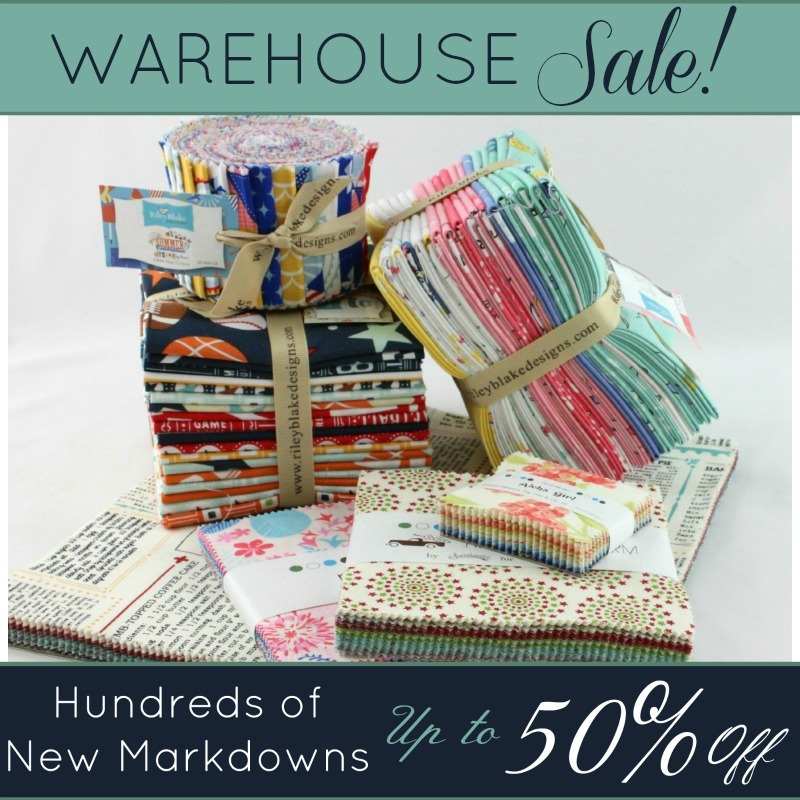 Southern Fabrics has a great selection and I really love their sale section. I see they have my favorite Feed Company plaid in there. Thanks! I love the Michael Miller basics Stitch Circle and Stitch Square. They come in so many colors! I also love Modern Minis and Vintage Market. Southern Fabrics has most everything–even some collections that are now hard to find. Vintage Market is my favorite and snatched it up as soon as it became available. I am also helplessly in love with Feed Company and Holly’s Tree Fare, both by Sweetwater. And, I am eagerly awaiting the new Hello Darling by Bonnie and Camille and Farmhouse by Fig Tree. August and September cannot get here fast enough for me! Hmmm, I may have a bit of a fabric addicition. I love the Aloha Girl bundle! Miss Kate – love those colors. I love Evergreen and Modern Minis! Thanks to you and Southern Fabric for the great giveaway. I adore Feed Company, Miss Kate and anything by Tasha Noel but since I have some pieces already from those collections, I’m going to start Modern Minis! Farmgirl Vintage makes me want to sew my fingers to the bones. Thanks for the giveaway!! I really like Kumari Gardens. What a great web site. HI, isn’t “Vintage Market” pretty! It’s my favorite! Love Southern Fabrics shop too! Thanks to you+Southern Fabrics for a neat giveaway! I love vintage market – but they do still have some april showers fabric in stock which has got to by my all time favorite. I think Sea Buddies by Michael Miller is adorable!! Thanks for the chance! Really like spellbound by cotton and steel. I love Southern Fabrics. The new vintage market line is so dang cute!! It’s too hard to pick a favorite!!! Would love to win to help make the selection easier. I could soar with Free Spirit. Christmas in July could be a lot of fun. Thank you for the opportunity for the giveaway. Oh Boy! Love everything – but as always anything with Amy Butler’s name on it has my heart! Many Thanks! Citron gray by Michael Miller is great! Skopelos is really pretty. I hope it’s back in stock soon! I’ve had my eye on the modern minis collection for awhile now. After spending a great of time on their website!! Love! I decided my favorite for today is the mixed Cotton+ Steel bundle by mixed designers. I also really loved Birch Farm Burlap. So many beautiful fabrics! Thanks to Southern Fabrics for the generous giveaway! I’d love to make a quilt for my daughter’s bed from Miss Kate, and Color Theory has some great fillers.Thanks! I love Morning Walk by Leah Duncan – Art Gallery. Thanks for the giveaway. I’m loving those oranges in Modern Minis – they look like something you could eat. Sherbet maybe?? Love the great number of collections that come in Layer cakes, layer cakes are so much fun!!!!! I like anything AMH but HollysTreeFarm is very cute! Modern Minis and Jingle are my two favorites at the moment. Can’t stop loving Gardenvale. Obsessed….. Thanks for the giveaway! One favorite at Southern Fabric is Beach House. Just lovely! Thanks for the chance to win! I really love Brambleberry Ridge Quartz. Gorgeous purples! Can’t go wrong with Cotton and Steel basics. Thanks for the chance! I love Southern Fabric, They always have good specials. I really like the I Spy Layer Cake as I need to make two baby quilts for friends. Thanks for the chance to win. Like the rest of the world, I love Vintage Market! I love the Morning Walk by Leah Duncan. I especially love how soft anything from Art Gallery is! I’m loving El Gallo, it woul look great in my mother’s kitchen. Ever since I saw your post on the Star quilt tutorial, I knew I wanted to do one! The Feed Bag, Vintage Market and Aloha Girl look fun to do with that pattern. Absolutely anything Cotton + Steel. Love Southern Fabric and their great deals! Perfectly Seasoned by Sandy Gervaise for Moda is my favorite. Love the prints and the colors. Aloha girl!! But I NEED the Daysail fat quarter bundle too! Decisions…. Love the Cameo line by Amy Butler. Southern Fabric has a great site. So easy to look at everything. I’m loving the Simply Colorful bundles by V and Co. Thanks for the chance to win! Simply Colorful is very pretty! Playful by Melody Miller looks like a fun bundle! I love Paradiso! It is so bright and Fun! I love the Cotton & Steel collections. The new Christmas collection is great! I love Tokyo Train Ride too. Great site! The scrap packs would be great stash builders. Oh, and everything by Joel Dewberry. I like the Aloha collection by Fig Tree Quilts, as I am a big fan of Joanna Figueroa’s work. I NEED Stitch Circle in orange to complete a quilt!!! It is most perfect!!! I like Modern Minis by Lori Holt. I love, love Moda’s The Boathouse. I have finished two quilts with that line and still have a charm precut and a second jelly roll. I love the colors of the Skopelos collection… just the breath of fresh air I need during the sticky heat of an 85% humid july day in Hawaii! Paradiso by Moda. I’ve been staring at it a while! I just attended a great lecture by Tula Pink about the process of fabric design and production, using her Fox Field line as an example, so that’s my pick. Thanks! I love the colours of Modern Minis! Working on baby quilts right now so my favorite collection is PARADISO for the little ladies on the way! I like the folk song charm pack. I love the Best of Morris line – such intricate designs and rich colors! So my mind can change daily! I love window shopping over there, my favorite today is Free Spirit! I love Southern Fabric!! They have so many great lines, I can’t choose just one! I’m drooling over Vintage Market, Modern Minis, and Gooseberry. Southern fabric always puts their customer first. I love the Aloha Girl collection. Thank you for the great giveaway. This is sure a tough one to answer — but Tasha Noel’s new line, Vintage Market, with that oh-so-sweet strawberry print just won me over! Now, as I go through my day, all I can think of is at to make with it! Thanks for the opportunity! I love all their bundles and the way that Southern Fabric makes bundles by color. I would love to have Miss Kate Navy, as well as Daysail Aqua or Daysail Gray. Of course, I also love Lori Holt’s Modern Minis. I love Kate Spain’s Jingle collection. Southern Fabric has wonderful scrap bags that are a great way to get an assortment of fabrics from one collection. Thanks for offering the giveaway. Morning Walk is so gorgeous! Vintage Market is awesome. If it has strawberries, it is for me. Can’t wait for Hello Darling too. Modern Minis by Lori Holt please! Farmhouse in the coming soon section! So many that I like, but I have had my eye on Paradiso by Kate Spain, I like Lori Holts new collection and the Fantasia collection too. Geometric Bliss by Jeni Baker! Southern Fabric site is lush. Love the Hello bear collection, would look great for my next baby quilt/ play mat. Would love some Cotton + Steel Basics. I am loving Vintage Market! SO sweet! I like the Citron Gray bundle by Michael Miller. Such a pretty colour combo. i liked Southern Fabric duo much I had to purchase Flirt by Dear Stella. I will use it to make your baby star quilt! I’m already a huge fan of Southern Fabric. Currently, I’m loving Modern Minis by Lori Holt. Awesome sales!! I’m addicted to fat quarter bundles. Playful!! I love that line. Also, they have Scrap Bags! By line! One of each, please. Oh, what I could do with a gift certificate. Thanks for the chance, Amy. Oh, Amy, I’m from Maine. Gotta be Hello, Bear! So hard to choose just one, but if I must, I’m going with modern minis. So many pretty lines! I love Tula Pink’s Fox Field. So many wonderful fabrics! I like Feedsack! I love Tasha Noel’s Vintage Market!!! My favourite collection is Elizabeth by Tula Pink. I especially love the fabric showing Queen Elizabeth I and her 16th century selfie! I’d love to snag some Folk Song by Anna Marie Horner! 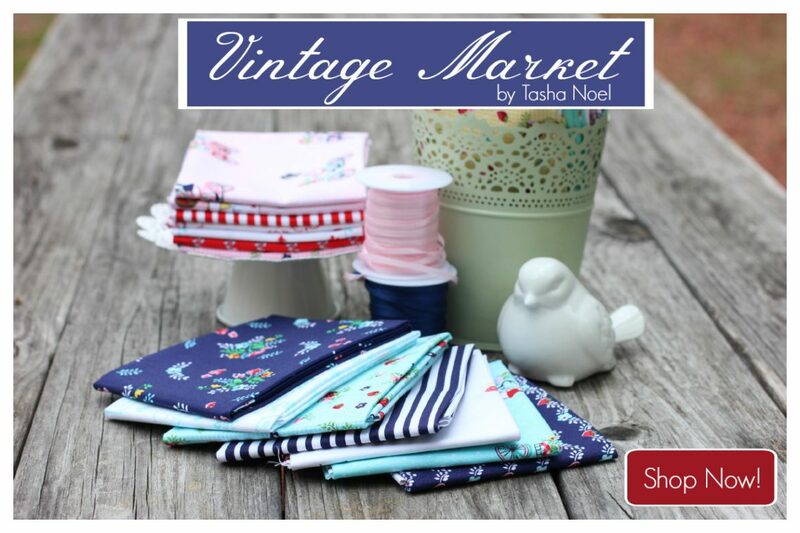 I love Tasha Noel’s new range Vintage Market, so cute! Love La Vie Boheme! What a selection! Loving this new site. For some reason Winterberry just jumped out at me but also liking Atelier. Southern fabric is a great site. The two lines I thought were nice were Perfectly Seasoned & Vintage Market? Please enter me in the drawing. I would love to win? 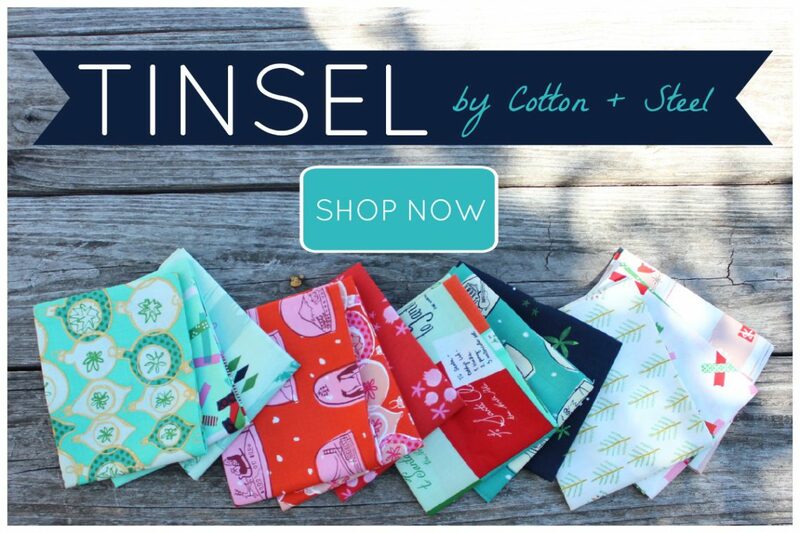 Right now I am loving Tinsel by Cotton & Steel! Thanks for the opportunity!! I love them all, if I have to pick one Vintage Market is beautiful. Thanks for the giveaway!! I love how Southern fabrics showcases its fabric collection. Easy to find and inspiring! southern fabrics is totally quality that is affordable. I love love love vintage market. Did I take a look? You bet I did. Could I pick ONE fabric, ONE collection, ONE designer? LOL Still laughing at the thought of being able to do that!!! If it’s quilt-able, I LOVE IT. Thanks for the chance. I love the Rainbow collection! Chevrons and stars are 2 of my favorites!! Only one? You are expecting too much! Lol. Since I can only choose one: Amy Butler and her Love fabrics. I love Tula’s Fox Field and Cotton + Steel’s Black & White. So many pretty ones. I choose Amy Butler’s Violette. I liked the violet and purple FQ bundle by mixed designers. I want some vintage market really bad!! I adore Southern Fabric! My fabric listing right now is over Wanderer, Wild and Free and the new C&S Black & White! I am so excited that Southern Fabric still has Brambleberry Ridge still in stock, specifically in the Mist colorway! That will end up in my cart if I win, thanks for the chance! Love the ‘Atalier’ line by 3Sisters. I’m loving the Tinsel collection by Cotton + Steel. Just read about the surprise scrap bags in the comments and I’m going to try it!!! Thank you Southern Fabric for the chance to win! What to pick??? I love Vintage Market and Feed Company!! Aloha Girl – what a fun quilt that would make! My goddaughter is mad for monkeys so I see a twirly skirt made with Funky Monkeys in her future. Thank you for the opportunity to win. Love, love, LOVE the Picnic Collection from Cotton and Steel! The print with the adorable vintage pyrex bowls and picnic baskets makes me smile! I’m looking forward to Lucky Strike, but currently in stock I do love Hat Box right now. It is so hard to decide among such beautiful collections. So how about Modern Minis? Thanks for the chance to win and the referral to Southern Fabrics. Wee wander is my favourite! I love vintage market! Would love to make a quilt with it for my daughter’s room! I love Southern Fabrics! I have a ton of favorite collections but I lean towards any Cotton + Steel collection. Such beautiful fabrics! I love Southern Fabric!!! I would love to win anything from Cotten and Steel….or Miss Kate from Bonnie and Camille. Love all the fabric! I love Southern Fabric!!! I would love to win anything from Cotton and Steel….or Miss Kate from Bonnie and Camille. Love all the fabric! I love that they still have a little bit of April Showers in stock, although for newer collections, I love Hello Bear. I want to make a whole nursery out of that line. It might be easier to tell you what I don’t like. 😉 Although, I’ve been thinking about making new stockings so Jingle really caught my eye! With Christmas just six months away I’d love to start on a yuletide quilt made out of Kate Spain’s Jingle. It’s soooo festive! Hello, Bear is darling and can be used to make my first great grandson a boy quilt. I like Tiddlywinks. Thanks for hosting the giveaway! I love a lot of the lines from Art Gallery right now. Hello, Bear is adorable and Morning Walk has been inspiring a lot of project ideas for me lately. I also really like Moda’s Aloha Girl. Holly’s Tree Farm is my favorite right now. Need to get busy making a Christmas quilt. I love C&Ss’ Spellbound ! !! The Daysail line is absolutely darling. Thanks for the give-away! I love Vintage market and the colors combined in this collection! I also love Tinsel! I need to make something for Christmas with those snow globes! I love any of the bundles from Cotton and Steel!! Vintage Market is beautiful, but I also love Folk Song by Anna Marie Horner. :) What a great giveaway! I think I like everything by Kate Spain, so paradiso is a clear choice. But I also love the modern minis line. It’s just perfect! I don’t have any AMH’s Folk Song yet. If I had to choose just one, it would have to be Vintage Market! I really like Brambleberry Ridge! I love Lori Holt’s Modern Minis collection, especially that Mason jar fabric. Gotta get some of that soon! I’m kind of into brights lately! I really like that Utopia precut! Holly Tree Farms looks so fun! I love Joyeaux Noel and want to win the GC. I love Southern Fabrics – just used some Morning Walk Charm packs from them in a quilt. Ready to restock!! Southern Fabrics has so many great fabrics to choose from, but I really like the Summer Celebration collection by Designs by Dani. I love the Rainbow Bundles that Southern Fabric has put together! I am loving Lori Holt’s Modern Minis. I love Southern Fabrics. I love the Reel Time line by Zen Chic. Love Southern Fabric too. They’ve always provided great service to me. I love Love by Amy Butler. The colours are amazing. I like Perfectly Seasoned and anything by Amy Butler. southern Fabrics is one of my favorite sites! It is hard to choose just one favorite but I have been contemplating Winterberry for some time. It comes out in October but I’ve been liking prairie, I have also been falling for those deep dark colors in cotton and steel lately. I like the blenders like Stitches Square and Stitches Circle. They can go with almost anything I’m using. God help me come Christmas time, but I love Tinsel. I do. Those little trees and the snow globes in red and orange get me every time. So. Close. To ordering.